Real Detective (2016) on Netflix Netherlands. Check worldwide Netflix availability! 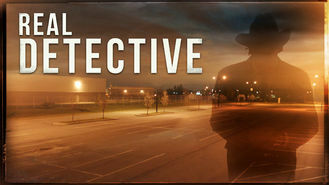 If Real Detective isn't available in your country, or you are visiting a country where it isn't, there is still a way to watch it! This series blends documentary style with dramatic re-creations as actors portraying real detectives recall the cases that will haunt them forever. Every homicide detective's got that one indelible case in their past that they can never quite get over.